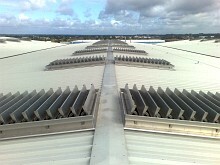 The Eura is the most cost effective solution for both smoke and day-to-day ventilation. 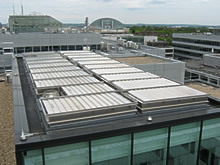 The Eura extracts large volumes of smoke, utilizing the buoyancy of hot gases in the rising plume. 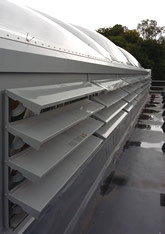 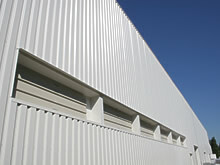 Natural day-to-day ventilation is driven by pressure differences to move fresh air through the building. 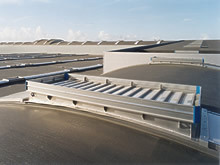 Pressure differences are caused by wind or the buoyancy effect created by temperature differences commonly known as the “stack effect”. 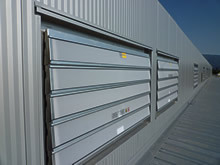 The Eura is a very versatile ventilator that can be installed at any angle from horizontal through to vertical, making the product widely used in a variety of building types, typically distribution centres, industrial and commercial buildings. 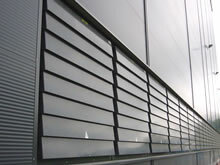 The Eura is available with various louvre types including insulated aluminium, clear and opaque polycarbonate. 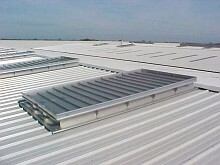 Operated either electrically or pneumatically with base options for fixing onto roof sheeting or upstand or vertically into brickwork, glazing or wall cladding.